← Not the Flying Stupendas! MorrisonDance will present SYZYGY in the second half of a double bill shared with Travesty Dance Group during the DanceWorks 2012 series at the Cleveland Public Theatre May 10-12th at 7:00pm. This project is funded in part by Cuyahoga Arts and Culture. Choreographer Sarah Morrison has worked with a predominantly new group of performers to explore psychological themes, animal behavior and celestial concepts. Syzygy will include several new premieres including the final culmination of a new development with BrainMaster using their new Brain Avatar system to display localized brain activity of cellist, Janine Jones, and dancer, Morrison while they share the stage together. This presentation of five short dances will vary in mood and style, and will feature additional performers Kevin Marr, Carli Taylor Miluk, Bethany Nesta, and Adam Thatcher; interns Rob Jaeger and Manolo Manalo; design contributions by Scott Radke; and lighting design by Trad A. Burns. 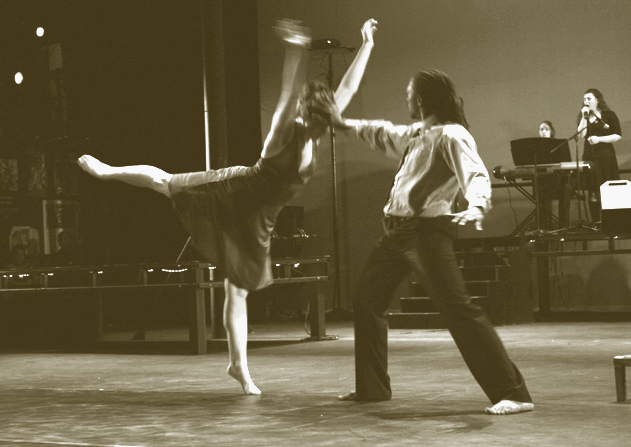 The MorrisonDance and Travesty Dance Group double bill runs Thursday – Saturday May 10-12, 2012. Performances take place at 7:00 p.m. Tickets are $25 for general admission, $22 for students and seniors, and $10 for all tickets on Thursdays. Friday is free beer night. You purchase tickets online at cptonline.org, by calling (216) 631-2727 extension 501, or in person at 6415 Detroit Avenue, Cleveland, Ohio 44102. Please note: The James Levin Theatre is currently not handicap accessible. This entry was posted in Art News, arts, cleveland, dance, shows, theatre and tagged art, art news, cleveland, Cleveland public theater, cleveland public theatre, comedy, CPT, dance, drama, entertainment, exhibition, live, morrison, morrisondance, ohio, show, theater, theatre. Bookmark the permalink.